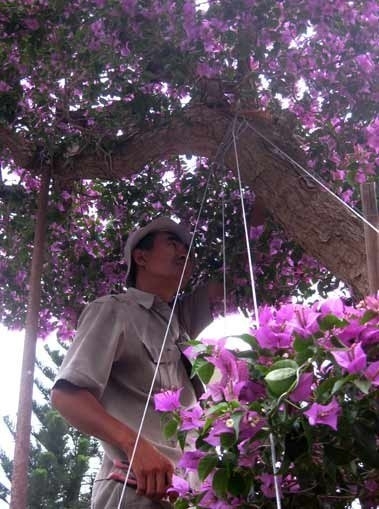 VietNamNet Bridge – The Lunar New Year is the chance for people to see the most special ornamental trees. 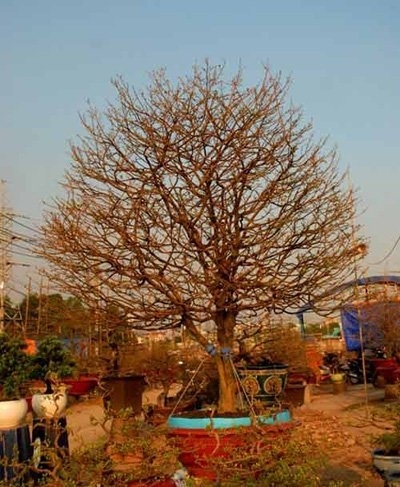 This tree is on displayed at Ninh Kieu wharf in the Mekong Delta city of Can Tho. The owner offers for sale at VND90 million ($4,500). 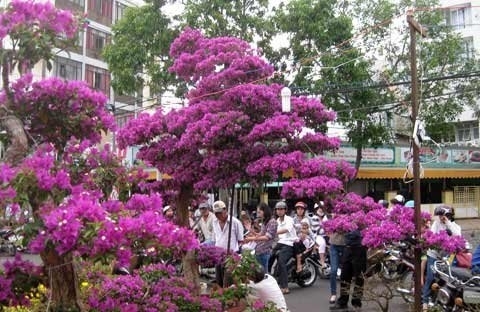 This tree is over 4m high, with flowers from top to bottom, owned by Mrs. Tran Thi Deo, 54, years old, from Ninh Kieu district, Can Tho city. It was planted over 50 years ago. Dao did not remember exactly when the tree was planted. 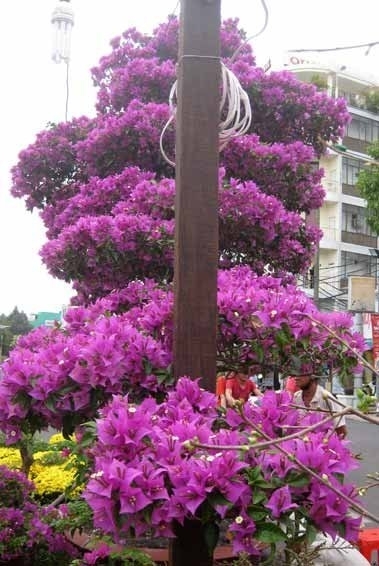 This tree is also displayed in Can Tho City. It is special because it is in the shape of a spouse and the mother who embraces her child. The tree is about 70 years old, over 3m high. The owner offered for sale at VND200 million ($10,000). 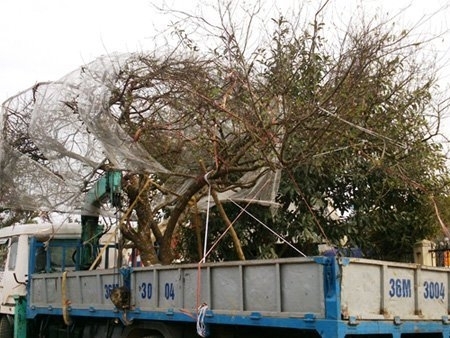 Currently, the apricot tree is on display in front of the People's Committee of Can Tho city. Mr. Bui Xuan Trang, from the northern mountain province of Son La, is the owner of two special peach branches, which are priced several thousands of US dollars. 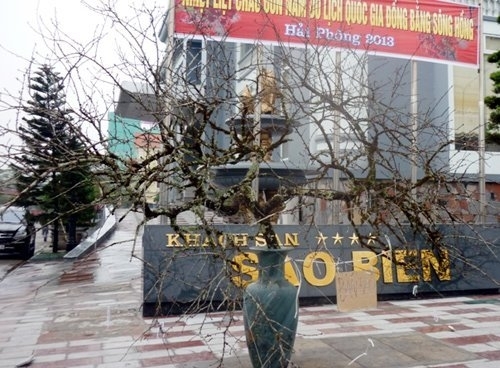 Trang said some customers offered VND200 million ($10,000) for the peach branches but he did not agree. He said the peach branches are rare because they are in the shapes of a pair of dragon and phoenix and they are cut from a wild peach tree of hundreds of years old in a virgin forest close to the border of Vietnam-Laos. 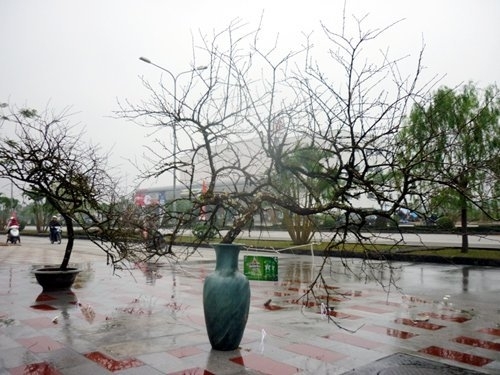 The peach branches are now on displayed in Hai Phong city. 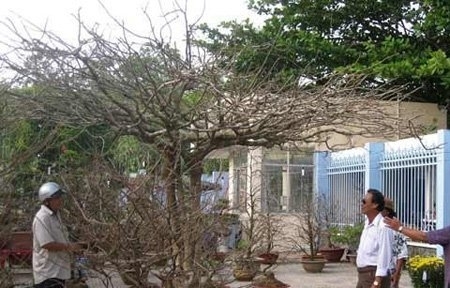 The owner of this apricot tree is Mr. Ngo Tuong Tinh, in An Thoi Ward, Binh Thuy District, Can Tho city. Tinh has had the tree for four years. The tree is over 100 years old. 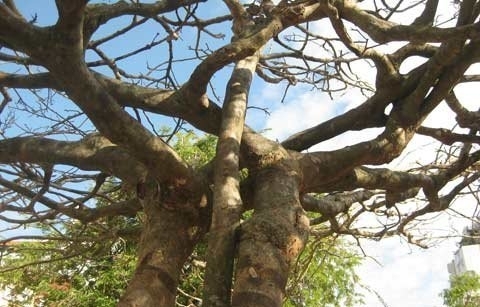 It is about 7m high, with trunk diameter of 30 cm and canopy of 2m. 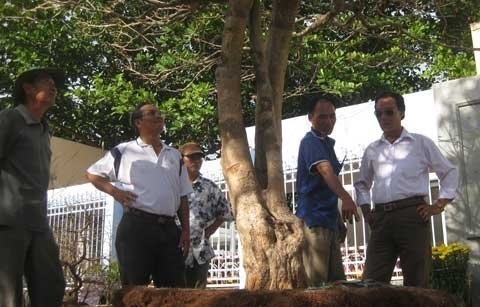 Tinh said he wanted to sell the tree for VND650 million ($32,000). This man also has two other apricot trees which are worth VND90 million ($4,500)/tree. This is an 18-year-old apricot tree of a gardener in Thu Duc district, Ho Chi Minh City. According to the gardener, this tree has been passed through three generations. 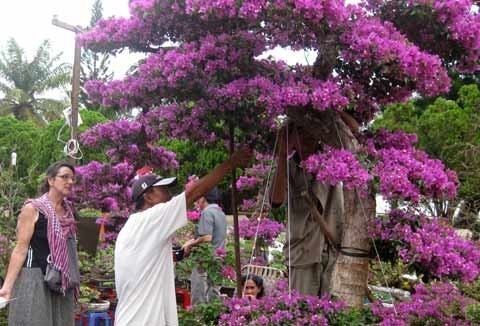 The gardener bought this tree two years ago, at the price of VND800 million (over $40,000). 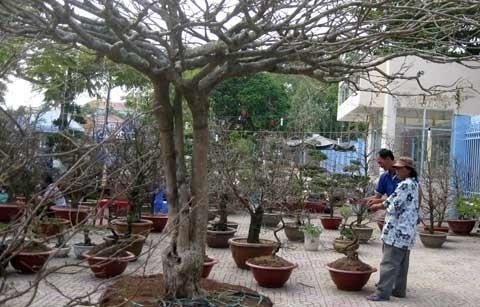 In 2012, a client offered VND2 billion ($100,000), but the gardener did not sold it. 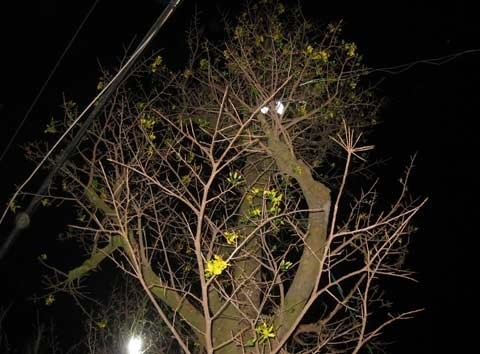 This year one offered VND2.5 billion, but the tree owner still denied. 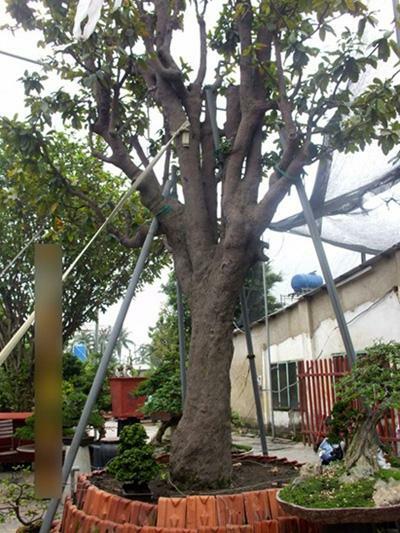 This apricot tree has canopy diameter of about 3m, 4m tall and it is offered for sale with VND260 million ($12,000). 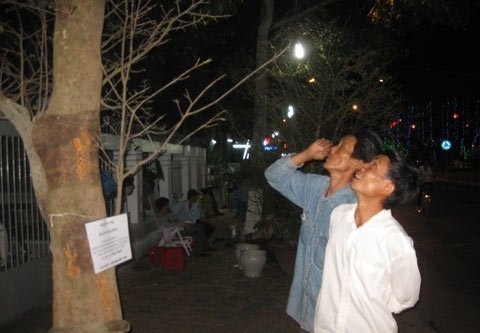 The tree is now displayed in Kha Van Can Street, Thu Duc district. 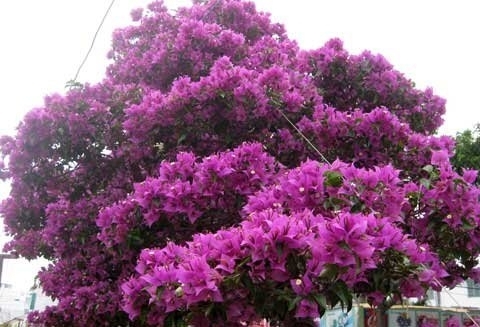 This tree belongs to a farmer in the central province of Binh Dinh and it is now introduced at the flower market of Da Nang. 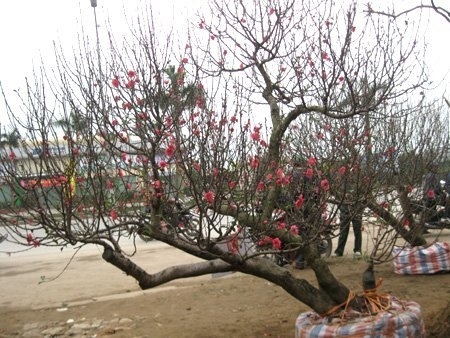 This peach tree is over 35 years old and it was on display at the park of Hoi An, in Thanh Hoa City several days ago. 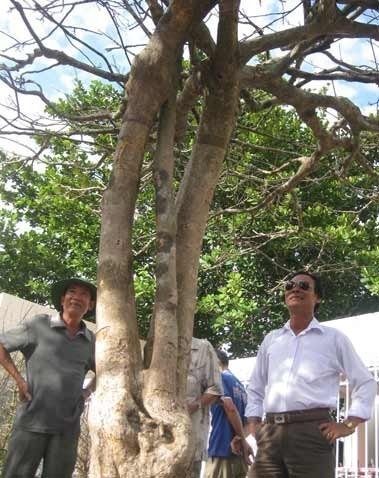 The tree has just been sold for VND60 million ($3,000) for a man from Ha Nam province. 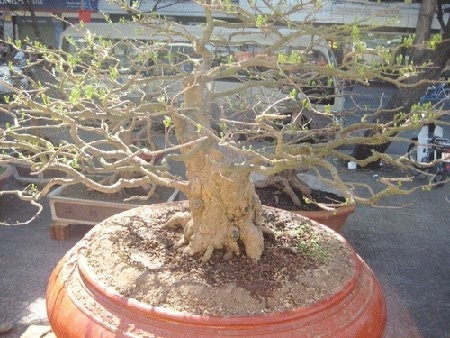 This bonsai peach tree belongs to a gardener in the flower village of Nhat Tan, Hanoi. The gardener is also willing to hire it during the Tet holiday at the leasing fee of VND40 million ($2,000).